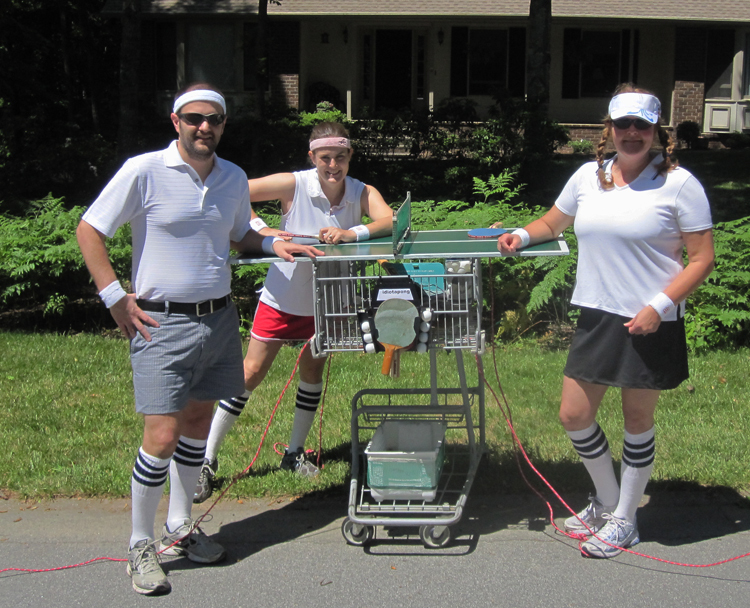 Faithful blog readers, I proudly present our cart for the Asheville Idiotarod: idiotapong. 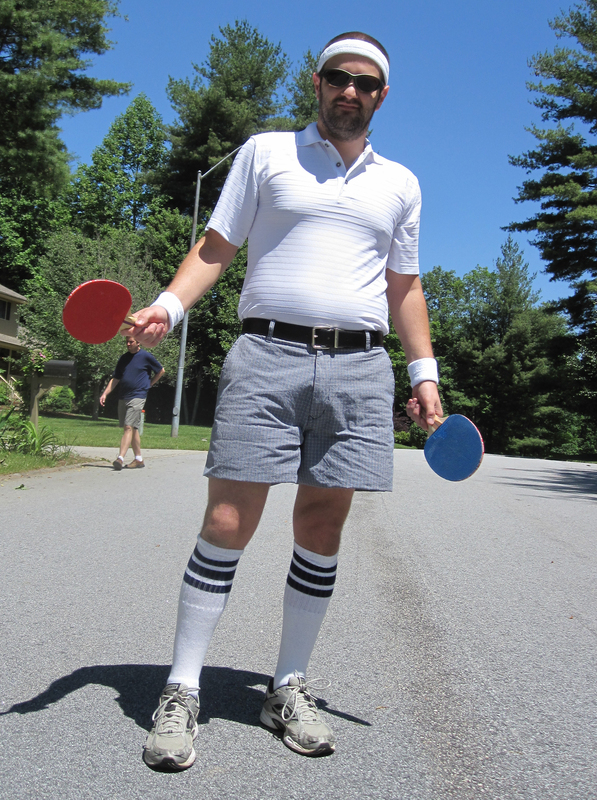 Chosen partially because we think it’s somewhat original (at least, my Google searches say so), our ping pong/table tennis idiotarod theme allows us to dress like, well, idiots. Also, if the race is lame, we can stop and play beer pong. I’m not sure this will warrant a prize, but I’m quite proud of our team effort. I painted the board. Lauri scoured three counties worth of grocery stores to find just the right style of shopping cart (Thanks to Go Grocery Outlet, by the way, for lending us the cart. And in case you were wondering, yes, we asked for the cart and they agreed to let us borrow it.) And John lent his engineering expertise to make a perfect union between board and cart. Now, all that’s left to do is meet the rest of the team. Two of Lauri’s friends will be joining Carie and myself to round out our five-person team. With any luck, they’ll be better ping pong players than Carie. I can’t actually prove this, but I think last night was the first time she’s ever held a ping pong paddle. Check back throughout the day, as I’m hoping to post updates during the race. Assuming that I’m not too busy playing beer pong.